Lynx Yellobrik CDH 1811 adapter which converts auto-detected HD-SDI & SDI signals to HDMI with embedded audio. 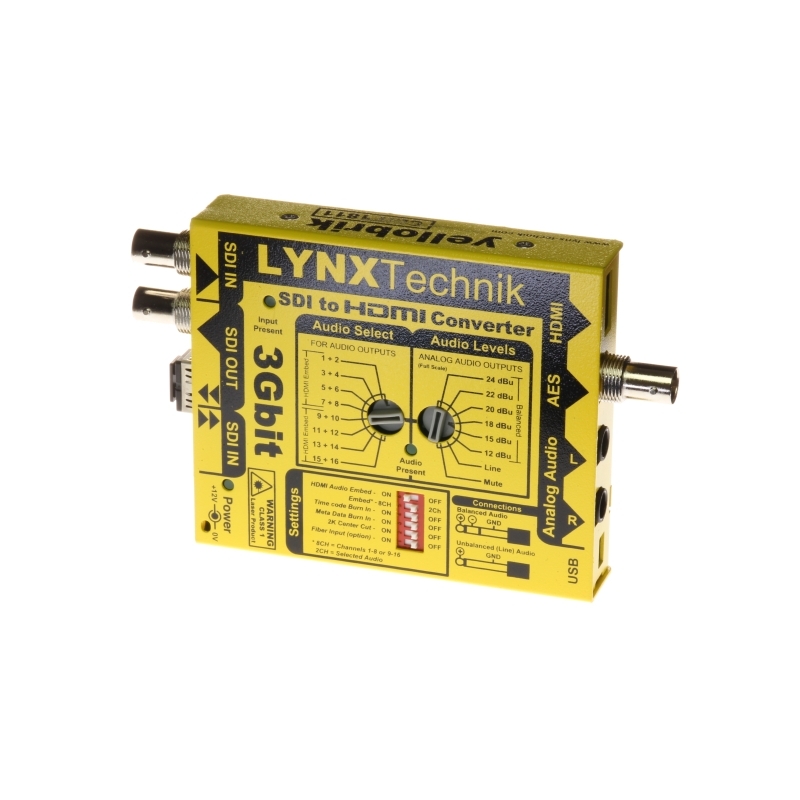 It also features analogue audio output, so can be used as a de-embedder for SDI signals. 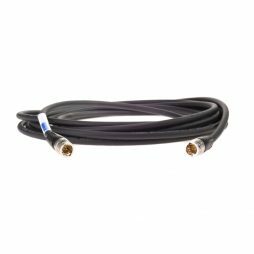 Heavy-duty Belden 1694F HD-SDI specification cable. Blackmagic Design’s ATEM 1 M/E Switcher has revolutionised live multi-cam vision mixing and monitoring, allowing a portable studio to be set up nearly anywhere there is power and a video feed. Supplied in a robust yet lightweight fully-racked flightcase along with a the Blackmagic Design SmartView HD for monitoring sources & programme feeds, this is a quick and easy package to bring your multi-cam productions to life. Able to support multiple keys and graphics, alongside up to eight live video/camera inputs, the ATEM 1 M/E vision mixer is a great solution for outside broadcast (OB) production, corporate communications and multi-camera live event coverage. The ATEM 1 M/E also has live audio mixing capability and features audio input & output via both analogue & SDI embedded signals. 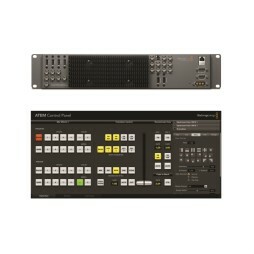 High-specification live production switcher with support for 4K/UHD, HD & SD signals. The Blackmagic Design ATEM 1 M/E Production Studio 4K can switch up to 10 SDI video source inputs and features multi-view monitoring, live keyers and DVE effects. It also has two media players channels for displaying stills and image sequences. The ATEM 1 M/E Production Studio 4K is a great solution for live broadcasting and webcasting applications where multiple cameras and sources need to be vision mixed in realtime. It can be operated using a PC/Mac interface or alternatively, directly controlled using the ATEM 1 M/E Broadcast Panel. 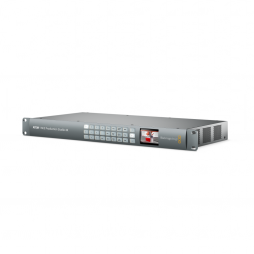 We also provide a wide range of multi-camera equipment which can be used alongside the ATEM 4K Switcher such as routers, signal converters and monitoring. Please speak to a member of our hire team to discuss your project requirements.